On lots of blogs (and Pinterest) people are doing amazing things with canvases. Serious art work. Just to warn you ahead - mine are not serious art work!! We just found out that friends of ours from high school are coming to stay a week with us! Excitement!! But I need to get something on the guest bedroom walls and try to stay with my self enforced budget. Sooooo... back to the closet of the girls' old canvases and into the cabinet of craft supplies. Then voila - cheap wall art!! For the first canvas I found a scrap of material the perfect size left over from recovering my dining room chairs and simply stretched and stapled it. I also had an old chipboard initial from a long abandoned project. I painted it a khaki color but it looked too flat. So I threw on a coat pf sparkle modge podge to give it a little texture. Not bad for all left overs! It says - "Big Sister's Wedding." Perfect!! All the photos in the guest bedroom are from our oldest daughter's wedding. I also had a sweet little sticker that I had picked up a bit ago. It was almost sepia in color and went perfect with this free project. OK - I am not even going to try to make excuses for how long it has been since I blogged. But hopefully I am getting into the swing of my new schedule and can dedicate some time here. First change of schedule is that I have Grandson every Wednesday afternoon until bedtime. I love that time with him - but it is amazing how much that one day can throw your whole schedule off!! Youngest daughter just this week got her college schedule correct and is on her routine. Having one person in this family off schedule can really through us all off!! And then finally I have this bizarre January ritual of doing deep cleaning that no one will ever notice except me. I have steamed cleaned grout and baseboards and the carpet that hides under baseboards - among a few other dozen strange but true projects. I have even taken all the kitchen drawers out to clean the runners. Definitely not blog worthy activities!! I have been trying to stick to my self imposed budget. It is going rather well...for me. The rest of my family has not embraced my philosophy yet. But they are trying - well sort of. That being said I have been scrounging around the house for free projects - or at least low cost. I was in the attic and spied something I had totally forgotten about for years. When I had my oldest daughter my mom gave me a really small rocking chair that had been my Nonnie's. It is not a child's rocker, but a very small adult chair. The poor old chair has been in our attic for about 18 years and was not in the best of shape when it went up there. My family is from the south - the very humid south. Much of the old furniture is warped if its wood or rusted if its metal. There were no air conditioners back in the day to keep moisture out of the home. And to add insult - my Nonnie lived on a lake. These went into a vinegar bath and then were scrubbed with a tooth brush to remove the rust. I was unable to break the chair down much farther than that. It was held together by pegs and I was scared I would damage it beyond repair. I gave the actual chair a light sanding and sanded the seat and rockers down to the bare wood. I then let wood oil soak in over night because the wood was so incredibly dry. The seat and rockers received a couple of coats of dark walnut and matte finish poly. The chair itself is off-white. ﻿Taa Daaa!!! What a fun week-end project. And it fits perfectly in the guest bedroom. And I think Nonnie would totally approve! Hope every one's new year is off to a great start. I still feel like I am trying to catch up from the holiday season. I just realized today that all the upstairs rooms still have their Christmas out. Really?? Know what I will be doing tomorrow!! 2011 took a big bite out of our checking account. 2 girls in college - the youngest of which thinks she is a world traveler, a grandson to spoil, and lots of odd expenses really take their toll. Sooo.. we have decided to scale things back for several months, which means using what I have on hand for a while for any projects I want to do among other things. Wonder how that will go? I was in my usual post-Christmas I must declutter phase and came up with what I thought was a really original (and free) project. I showed it to my daughters. Their response: Oh yeah, we have seen lots of those on Pinterest. Really?? Will I ever have an original idea? I have lots of canvases that the girls have started projects with and abandoned or just had complete project fails. I loooove old buttons!! I just never know what to do with them. And to be honest - I usually forget that I have these.﻿ I would gladly give credit to the pinterest person who came up with this idea if I had seen it - and I have not had time to figure out how to find it on Pinterest. Well - wish me luck on my budget- tightening ways!! 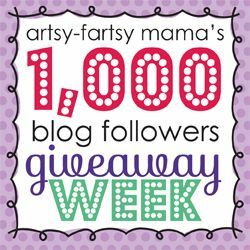 And speaking of budget friendly ways - Artsy Fartsy Mama is giving away a blog design by Happy Potamus!! Go check it out!! ...... time to catch my breath! My poor blog - I have neglected you so! 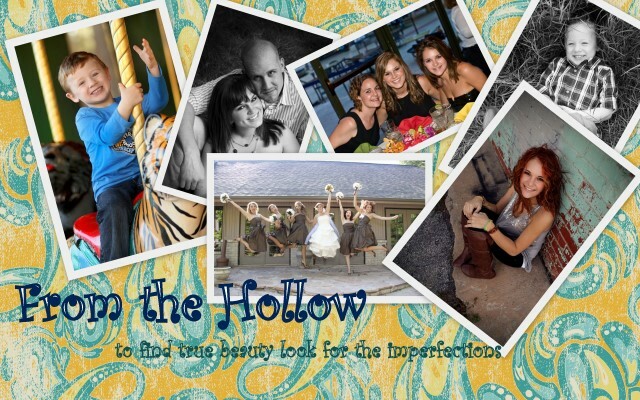 This holiday season was a whirlwind of activity here in the Hollow. Between parties,dinners,church and lots of family time - I am still tired. Literally. I feel like I am still trying to catch up on rest. Not to mention the craziest month ever at work! Whew. I now it is late, but now that I have spent 3 days taking down Christmas decorations I still wanted to share some with you. wreath I made a few years ago - still one of my favorites! ﻿Now that I have bored you with my after-Christmas Christmas pictures, I need to get back on schedule! We had the most beautiful sunset tonight - so I just had to share. Now How Did Those Christmas Lights Get So Tangled? Have you seen all the beautiful tablescapes around blogland - wowza!!! How fun it must be to sit at such a festive table!! The salt and pepper shaker are gifts from a very dear friend. She knows I love Christopher Radko and every year she buys a piece from his collection. And the girls get one of his ornaments. So there you have it - our very simple tablescape! Hmmm... now I am hungry!! Hello and welcome. I am the wife of an amazingly patient man, the mother of two incredibly talented ladies, mother-in-law to one wonderful son, and am in the process of creating the world's most spoiled grandson. I work in the medical field. I have always been a "crafter" but since discovering the world of blogging have become a DIY'er. Finally giving my home some of the attention it has been craving. Laundry is for the birds!! !